The high rugged cliffs of Plouha are reminiscent of Ireland coast. The Plouha headland, 104 meters above the sea, is the highest cliff in Brittany. 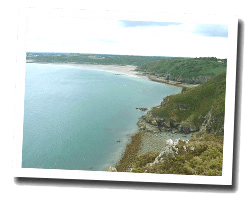 The coastal footpath offers beautiful panoramic sea views. At the seaside you can find beaches of sand or pebbles. The picturesque beach Bonaparte can be reached through a tunnel dug into the cliff. 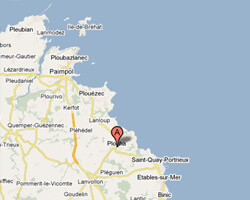 In Plouha enjoy a seaview holiday rental.